Illinois Governor Rauner recently signed two bills to support solar development conditions for Illinois farmers and rural areas. They are SB 486 and SB 2591. 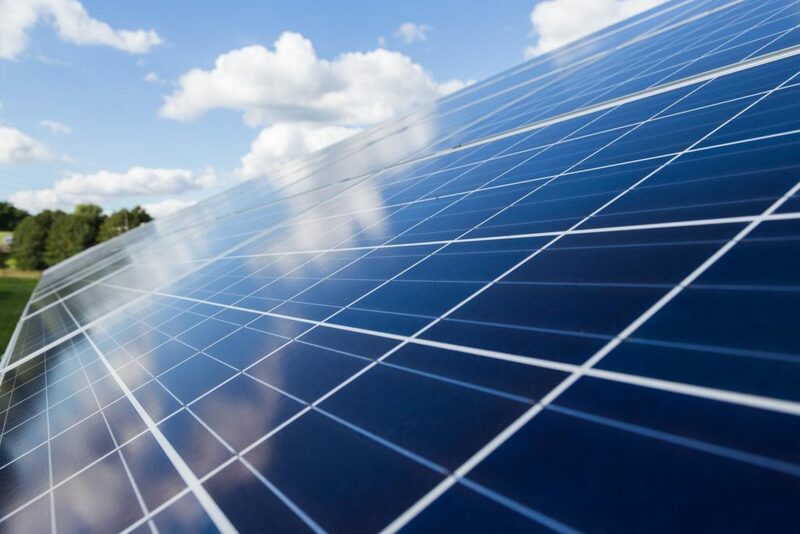 The first creates a standard tax assessment value for local solar farms in Illinois. 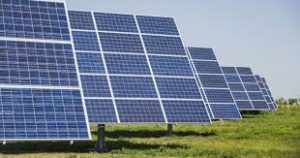 The second sets standards for the construction and deconstruction of solar farms on agricultural land. Lesley McCain, the Executive Director of the Illinois Solar Energy Association, answered some questions for CleanTechnica about the legislation. Continue reading here. This entry was posted in Nebraska / Midwest News and tagged CleanTechnica, economic benefits of renewable energy development, Future Energy Jobs Act, Illinois, Illinois solar legislation, Lesley McCain - Executive Director of the Illinois Solar Energy Association, solar energy jobs on August 23, 2018 by Helen Deffenbacher. Ontario-based Heliene, Inc. has begun operations in a 25,000-square-foot factory in Mountain Iron, a city of nearly 3,000 people on Minnesota’s Iron Range, and it plans to hire 130 employees by September . . . Minnesota’s growing community solar garden program, the largest in the country, has been a boon for the company, and Illinois may represent the next big market for Heliene. Read more here. Wisconsin Public Service, the subsidiary of WEC Energy Group that operates in northeastern Wisconsin, and Madison Gas and Electric plan to invest a total of $390 million to buy 300 megawatts of generating capacity — enough electricity for more than 70,000 residential customers — in two solar power projects . . . WEC also plans to invest $424 million in wind projects in Illinois and Nebraska that will sell power to other companies. Solar energy is a bright spot in Illinois’ economy, rapidly creating jobs across the state. And we’re just getting started…. With soybean prices falling to their lowest levels in years, farming the sun instead of the land is becoming an increasingly attractive, and sometimes more profitable, use of property for some landowners. Cooperative Energy Futures is a local, member-owned energy cooperative. The organization is working to make solar affordable by building large solar arrays on sunny rooftops or open areas throughout the metro. Alongside Minnesota Interfaith Power & Light, which helped recruit subscribers for the Edina array, and other partners, the cooperative is a founding member of the Just Community Solar Coalition. The coalition’s goal is to ensure community solar gardens are accessible to low-income households, create local, sustainable jobs, protect the environment and provide a new avenue for how energy is created and used. The Low-Income Solar Policy Guide was originally developed and launched in 2016 by nonprofits GRID Alternatives, Vote Solar, and the Center for Social Inclusion, to help drive the proposal and adoption of new low-income solar policies and programs, both as stand-alone efforts and as part of broader renewable energy programs. GRID Alternatives and Vote Solar are current contributing partners to the Guide. It is meant to be a tool for policymakers, community leaders and others who are working on solar access at the federal, state and local level. The world’s renewable energy capacity is set to rise sharply over the next five years, as the world adds more solar power than fossil fuels in 2018. A Week In Japan: Meeting Ministers And Celebrating Ambitious Corporate Leadership,The Climate Group. RE100 is gaining momentum in Japan, going from zero to 10 members in just over a year and gaining significant political support. As temperatures hit new record highs in Japan, The Climate Group’s Head of RE100, Sam Kimmins, writes about his recent visit and the growing interest in renewables in a country long reliant on fossil fuels. This entry was posted in NewsBlog, Solar for Lower-Income Households and tagged Electric Vehicles, Future Energy Jobs Act, global renewable energy development, Low-Income Solar Policy Guide, Nebraskans for Solar NewsBlog, RE100, renewable energy news & commentary, U.S. renewable energy development, U.S. solar panel manufacturing companies on July 23, 2018 by Helen Deffenbacher.